Found 243 entries in 0.126 seconds. Fishtank beads aren't spheres, they're ovoids. They aren't flat on any sides, they're just oval-based. This is a sphere that's flat on one side. Otherwise, the side of the sphere being flattened (since it's specifically only one side) would be pushed out to the sides, and it wouldn't end up being very circular at all. /u/mistborn, please lmk if I'm misunderstanding it, because I'm genuinely curious now. No, your image is close to what I imagined. Come on, guys, there are major major reasons Roshar can't possibly be a moon and one of the moons a gas giant. Think about it. Nobody ever remarks on how one of the "moons" takes up a quarter of the visible sky? Each moon is in the sky only once per day and moves across the sky in a couple to a few hours. What does that tell us about their orbits? You may not be aware, but Mars's moon Phobos orbits in less than 8 hours, and gets less than 6,000 km from Mars's surface. Curses! Foiled again by SCIENCE!!! Okay, so the orbits aren't magically augmented. Still, that leaves us some information. The three moons are likely captured asteroids, then, rather than having split off from Roshar during its formation, Luna-style. Three captured asteroids at the same time in relatively stable, seemingly very close orbits... Anything significant in that, science people? I expect the moons were put in their current orbits artificially, but by whom or what I do not know. On astronomical terms, these are not stable orbits, but astronomical terms means millions of years. A few thousand or even a few hundred thousand years are no problem. By the way, I minored in astronomy while at the university, for expressly science fictional purposes. Were the moons also artificially created, or were they originally formed naturally? How about the Iriali and Alethi mix we have going on with Adolin and Renarin? Where would this put them within the chibi figures? I have always had a hard time trying to figure out how they would look like due to their mix ethnicity. I have ideas... of course, but I'd be great to have confirmation. Oh I thought Riran and Iriali were the same... Where did I go wrong? I can't say much without giving spoilers, but there are small differences. Would be cool if you ever got the chance to sit down with a sketch artist to put out images of your visualization of how some of these characters look. It would be fun, though I've done this (in a small way) with Ben McSweeny, who does a lot of art for my books. I have semi-official character sketches I use for my own descriptive purposes, but I don't consider them close enough in some ways to be canon, so we don't release them or put them in the books. That said, some of them might be floating around on the internet--I'm not sure. One thing I wish I'd done was nudge Michael Whalen to push his Kaladin on the cover of Words of Radiance a little further to be a little more ethnically Alethi--as I think it would help people's visualizations of him. But the one we ended up with is already the third version of Kaladin he did for that painting, and each one was increasingly better--I felt bad pushing him further. Since you mention languages on Roshar, are there any languages that are completely unrelated to any other on the planet? Vorin: Alethi, Veden, Herdazian, and more distantly Thaylen. Nathan is close to dead, but shares a root, and Karbranthian is basically a dialect. Other minor languages like Bav are in here. Makabaki: Azish is king here, and most the languages around split off this. There are around thirty of these. Dawnate: A varied language family with distant roots in the dawnchant. Shin, parshendi, Horneater. They share grammar, but they diverged long enough ago that the vocabulary is very different. Iri: Iriali, Reshi, Purelake dialects, Riran, and some surrounding languages. Aimian: These two are lumped together, but are very different. Probably what you were looking for. That isn't counting spren languages, of course. I might have missed something. Typing on my phone without my wiki handy. Why are the people of Roshar so much more aware of the Cosmere? They seem to know more than any other world you've written to date. I believe the people of whom you are speaking are mostly not native to Roshar. On another side, however, it is the first planet we've seen with three Shards, and it is the furthest along in the timeline. One final thing is that they had some very unique experiences early in the planet's history. It involves the Heralds, and various items I think would be spoilers right now. Is the current year number (1174) just a Vorin convention, or is everyone on Roshar using the same calendar? It is a Vorin convention, but the Vorin convention has been adopted by a lot of cultures. Yeah. But there are different numbering conventions. Is the Earth-like biome in Shinovar a product solely of environmental factors (e.g. shelter from the highstorms), or is there a magical component as well? On Roshar, the environment and magic are so intertwined, environmental factors ARE magical components. Interesting, hadn't really thought of it this way, but much of the environment and its events depend on magic - highstorms, plant and animal life, crem and water deposits, and those are just off the top of my head. Was it this way before the Shards showed up, or is this a change they caused (intentionally or not)? This will eventually be revealed. How are people with two different eye colors treated on Roshar? RAFO - this will be explored in one of Shallan's flashback sequences in Stormlight 2, and is already written. How is homosexuality regarded across the cosmere? I know one member of Bridge 4, though I forget who, is gay, but I'm asking more in the sense of legality, societal view, etc. It would probably depend on the planet and culture involved. Roshar has many varied cultures and probably has multiple different acceptance levels. Scadrial is much more progressive and really only has two cultures so it's more likely that most if not all of the world accepts it. Maybe this is something you could ask [Brandon] at a signing or during an AMA. Yes, this varies widely based on the planet, and even culture, TimAnEnchanter. Roshar, for instance, has a lot of different perspectives on homosexuality. In Iri, the more religious segment (who believe that life is about new experiences) would approve, while the more rigid modern, secular society has outlawed it. Don't even get me started on Bavadin's religions. What reasons do Survivorists use to rationalize heterosexuality? Thank you so much for these tidbits it's really interesting to hear more about this stuff from you. It would be great to see some of this canonized, maybe in an interlude, or random background discussion somewhere. Thank you again for your books! Also very interested in hearing why secular Iriali have decided to 'regress' on that. Survivorism calls it unnatural, and not conducive to the survival of the species. More than that, though, Survivorism has become very conservative and slow to change. What early thinkers had to say is regarded very strictly in the religion. Back during the early days of the new era, repopulating the basin was of prime concern, and this became a big part of what led to moral codes in Survivorism. Is Roshar *broken* in some way? Shards, storms, Spren—everything there seems very fragmented. Roshar is broken in some way. You are on to something there. Roshar... Is that the whole world, just kinda flattened out? Or is there something on the other side? There's something on the other side, but mostly just empty ocean. Mostly just empty ocean? Something else? RAFO? Is ten of significance in Roshar as sixteen is on Scadrial? Feruchemy is the "balance" between Ruin and Preservation. Would any combination of Shards create a "balance" magic, so to speak, or are only certain Shards compatible? Feruchemy ended up being a balance system, because of how polar Ruin and Preservation were. Any world with at least two Shards will result in a similar phenomenon. Like Roshar. There is something like that going on there. How many kings have had a Wit? It is common for a king to have a Wit. Has Hoid been more than just Elhokar and Jasnah's Wit? He has been. Most Wits, historically, were a little more fool-like, more court-jestery. Wit does not think highly of that. But there have been others in the past that were more like what he would think what a Wit should be. Is it cold enough on Roshar for snow? Do you get a highsnowstorm? In the mountains, yes, it's very weird. And it's only in the tops of the mountains. There is. But you will see this when and if we visit the Horneater Peaks, which are covered in snow, except for the hot springs. I know you went on mission in Korea, as did I, did anything come from that? Yeah, quite a number of things have been influenced by it. I'd say the biggest influence is Elantris, the writing system is based on the idea of Korean and Chinese mixed together. But Asian philosophy, like the kami and things like that are also common in Korea, that belief that everything has a soul. So yeah it's had a huge influence on me, just the way I worldbuild-- I mean just the fact, I don't know if you've read The Way of Kings… I don't know if you know but everyone's Asian, right? Like Szeth, the white dude, is the one that looks weird them. And that's just because-- It was partially influenced by that. Is it possible to reliably deduce what a Shardworld's Cognitive realm will look like if we knew a lot about its Physical realm? For example, mists in Scadrial, spheres in Roshar etc. Yes, but it works in odd ways. So it may not work in the logical way that you think. 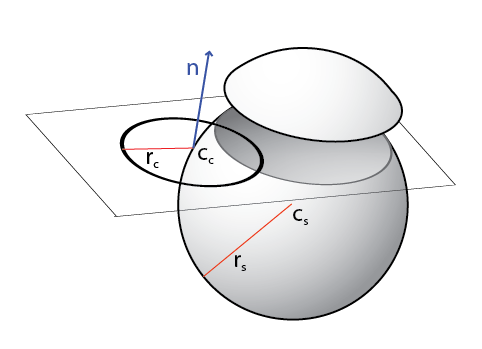 Why spheres on Roshar? Something related to the highstorms makes more sense, right? A friend of mine wanted me to ask: Was the cataclysm that rocked Ashyn and forced its inhabitants into the flying cities Investiture-based, and if it was was it Shardic in nature? The same cataclysm that the-- did you finish [Oathbringer]? Are all Hordelings Cremlings and vise versa? Cremling is a synonym in Roshar for both, insect and small crustation, right? And so you would see one and you would see that's a little crayfish. Cremling is not an exact term if that makes sense. It's like bug. The word "bug" people can use to mean a lot of different things.[...] So, yes, they look like Cremlings, because they've been bred to look like Cremlings, so they will not be noticed on Roshar, but there are Hordelings that do not look like Cremlings. But they would still be called a Cremling by the people on Roshar. The occasional people (?) used the word insect, 'cause that word does exist on Roshar. Usually make refers to like little flying bugs that you only find in the very far west of Roshar near the mountains, but yeah. Was Roshar mythos inspired by Shinto or Japanese mythology? Yes, it was. There is definitely a large part of Asian mythology, specifically Korean. So less Shinto and more Korean but there's a deep relationship there, and I lived in Korea for two years as an LDS missionary. I get the impression after reading Stormlight 1 and 2 that a lot of what you would consider to be flora, plant-life, is actually something like coral in the ocean which is actually an animal. So is there actually any flora on Roshar outside out of, like, Shinovar? Yeah, yeah, like almost all the things you see as flora are actual flora. Like, rockbuds are flora, trees are flora, shalebark is not, and some of the things like that-- haspers are not, and some of these things are more-- are animal life, are fauna. But grass is actually a flora, and trees. Now I mean one of the big adaptations they've had to make is that they have to use crem, so a lot of the trees that you'll find on Roshar, they will be using crem that falls and you use this to create shells, you use this to infuse your bark, they use this in a lot of different ways, the minerals there are very important because they're not getting from the soil what plants on our world get from soil, a lot of them do. You have to get all of your minerals and things basically have to come from the crem. Which the farmers already knew. How long did it take you to develop the idea / world of The Stormlight Archive? I wrote down the first ideas 1993. Kept working on the world through college. First draft done 2002. So, where did you get the name Roshar from? I have no idea. It's been twenty years that I've been calling it that. I don't know what my specific inspiration was. It's just one of those words that just felt right. In one of the Stormlight books, or Way of Kings, it says "3 of 16 ruled but now the Broken One reigns", so did they-- did the three of them have a pact?
" --and then the Broken One reigns"? How did you come up with the geography on Roshar? The geography on Roshar was developed as a natural outgrowth of the highstorm, which was the first concept for Roshar, which was inspired by the storm of Jupiter, which was me wanting to tell a story about a world with a continual magical storm. And then I built the ecology and all of these things up from that. Roshar had to grow up--I had to find a mechanism by which stone was deposited by rain, because I felt that the constant weathering over that long of a time would leave no continents. So the crem was my kind of scientific-with-one-foot-in-magic hack on keeping the continent. So the continent does drift. They don't have plate tectonics. The continent actually moves as it gets weathered on the east and gets pushed that direction over millennia of time. In The Way of Kings, Chapter 54: Gibletish, Dalinar has a brief conversation with Brightlord Hatham, one of his ardents, and a few other people. During the conversation the ardent uses the word "soil" in a way most Rosharans wouldn’t. After the conversation he tells Dalinar of "our goodwill toward you" and that "we will speak with you again." The odd use of the word "soil" combined with what could be a vague reference to the ardent’s associated with a group other than the ardentia has led some of us to believe he might be a worldhopper. Plus, we know Nazh is around in the area, or will arrive soon. Is there truth to this idea, or are we overthinking this? Alethi use the word "soil" on occasion in their language to mean "dirtied" or similar. It's a holdover from an earlier time. But they don't associate it with the ground, and if you see it used instead of stone like in this quote, it should indeed raise an eyebrow. Wait, hold up. How can "soil" be a holdover from an earlier time if Roshar was always a rocky place? Or did you mean that it's one of those words that carried over from Yolish, or whatever other language people spoke before they migrated to Roshar (like "hound")? It is similar to hound, which is one of the ones that Hoid pointed out as an oddity. But people did not migrate from Yolen to Roshar. Roshar was inhabited before the shattering of Adonalsium. Hmm. I am rusty on my Roshar history, I'll have to review what we know the topic. I know Roshar existed before the Shattering, and it was presumably populated, but I didn't think there had been humans there. They don't feel native. I've been working under the assumption that the Parshendi were native (maybe), but the humans came from somewhere - the Tranquiline Halls myths also kind of support that. Footnote: Resolved in the OB tour. It's a worldhopper but not Nazh. Is it only greatshells that have gemhearts, or do all crustaceans on Roshar have some sort of gem inside? And if it is only greatshells then are their unique decayspren related to this fact? They're not only greatshells, but not ever crustacean has a gemheart, at least not of the style that would be of any relevance to you. Some have the same sort of chemistry going on in their body, they're just too small to have it coalesce into a gemheart. And the gemheart is related to how-- particularly the greatshells, can grow to get so big. Both Parshendi and Horneaters are able to see spren, ordinary humans can't. Is there a connection between these abilities, or do they come from completely different sources? After Eshonai bonds the stormspren, she starts hearing this screaming voice in her head. Well, um… It is a combination of her voice and something that is happening with Roshar, and at the end of the next book you'll get a big clue. With the ten Silver Kingdoms, what were actually their roles and what kingdoms did they correspond to *inaudible*? Well, what do you mean by correspond? Did the ten Silver Kingdoms each have a job like Alethela was the kingdom of War? They would all consider themselves specialized but it wasn't official like that. It was more like their own philosophy and how they view themselves. And I wouldn't align them straight up with orders of Knights Radiant or anything like that. They all did kind of have different roles but its not like they had any-- you know, Thaylenah is your navy, right? Its not necessarily that it's-- if that makes sense, but Alethela has like the view of itself, it had a very distinctive view of itself. Okay, so it wasn't like each one actually had a different role? No, they were not quite, quite, organized enough for that. Where did you get the idea of a world ravaged by fierce storms? The original seed of an idea was the storm of Jupiter, this massive persistent storm. Of course, that's a gas giant. The physics are very different. But I remember one day staring at a picture of Jupiter and thinking about a storm that circled the world that was massively powerful. That was one of those seeds that stuck in my brain. This sort of thing happened over months and years until that seed grew and developed and mixed with other things I was thinking of, and the result was Roshar. Kaladin I think is 6' 4"? But I'm not 100% sure how the equivalent-- Like he is 6' 4" to Rosharans, which may actually put him several inches taller to the 6' 4", like the feet on Roshar are not exactly the same as feet here. Now that jet lag is a thing in Roshar, what is the time difference between Shinovar and the Shattered Plains. I'm gonna do what I call a PAFO, which is: my assistant Peter is the one who tracks all of that. I have offloaded that to him. I used to keep all that stuff in my brain, but I just don't have space. Ask Peter. Brandon Sanderson's city of Kharbranth from "The Way of Kings" looks jus tlike Positano, Italy. I actually wrote the book without a specific place in mind--just trying to build off of the setting, and create cities that would work with the highstorms. Once I gave the book to Isaac (my mapmaker) he went and looked for real-world inspirations for drawing out cities. I'm pretty sure this is one of them, though I'd have to grab him and get the photo references to know for certain. It was actually one of those gratifying moments, when something I've imagined and described turns out to not only be plausible--it turns out to have been done in our world. Standard disclaimer, though: It's totally possible I saw a picture like this at some point in my life, and drew inspiration without remembering. is there a word for baby chulls and if not, can it be chulldren? Hold on. Are you saying that when we see cremlings, they are at least some of the time immature forms of other creatures? Or is it just a broadly used term? Some of the time they are! Do the Honorblades reflect the natural pairing of Surges, or did Honor decide which Surge pair to put in each Blade? The pairs are natural to Roshar in the same way as the metals on Scadrial. Does the highstorm/no highstorm rotation of the Weeping have to do with Ashyn's relative location to Roshar? In Well of Ascension, it mentions that the language of Terris had a gender neutral pronoun. If you actually constructed the language, what was that pronoun? Or did you just leave it as its English translation of "it"? I didn't spend a long time on the languages in Scadrial, since most people were speaking the same tongue. I just used "it" in my own writings. Roshar has a lot more detail on the languages, because culture-clash is a bigger part of the theme of the series. So we already know that Vasher was Kaladin's trainer with a Shardblade, 'cause you told me that last time I asked you. So does Vasher just have a large mass of Biochromatic Breaths and that's how he's surviving, or is he somehow feeding off Stormlight while he is there? He is feeding off of Stormlight, which is the primary reason why he came to Roshar. Investiture is easy to access in plentiful amounts. Yes, he has experience with Roshar from hundreds of years ago. Where did you get the idea for the gemhearts. So, I wanted-- in the books, I wanted there to be an economic component to the magic, like, something that was based on the money in the world. And I knew I wanted to use the gemstones, but I also knew they would be used up really quickly by the magic, with Soulcasting. So, I built something into the creatures of the world, so that we could renew the gemstones, so they wouldn't all just be gone after a few hundred years. Vorin languages, in particular, lend themselves to this kind of simplification of terms. Was much of the Shattered Plains inspired by the beach? A lot of the life on Roshar is inspired by tide pools. Is all the chickens who are not chickens in Stormlight a big fat joke about [Terry Goodkind]? I'm guessing you aren't willing to elaborate on that point? Book three will make it clear, but it is not so hard to guess right now. I will avoid saying more until November.